Like so many of my contemporaries in SEO and the digital marketing sphere, I too am a journalism major. Like so many of my contemporaries who graduated with degrees in journalism, I found it difficult to get a job as a journalist. Back when I decided to pursue journalism in 2005, it seemed like a good idea; a road to future financial stability. No, I wasn’t the best decision maker when I was 19. Thankfully, the skills and habits I picked up studying journalism and mass communications at large translated handsomely to SEO/content marketing, and now I love the work that I do. When I started out as a link builder, I warmed quickly to a practice I was taught early on: newsjacking. Newsjacking is just as it sounds: the process of creating content that stems from the day’s news or heated topics of cultural discourse. As someone who considers himself a news junkie, this just seemed like a no-brainer to me. I used newsjacking as much as I could; I still do. Of course, it’s important to produce evergreen content as well. As lucrative and as effective newsjacking can be, the resulting content will often have a short shelf life. But evergreen content doesn’t just grow on trees. Eventually there’s only going to be so much you can produce without pummeling home the same points over and over. And the content gaps are often harder to spot. But when you work the angle of newsjacking, content ideation becomes much easier. I mean, there’s never NOT news, right? There are more news delivery channels reporting on more news than any time in human history. Just look at all of the pages on The Huffington Post. As a writer, newsjacking is perfect for content ideation. But the benefits go beyond that. Newsjacking is an authority building effort as well. 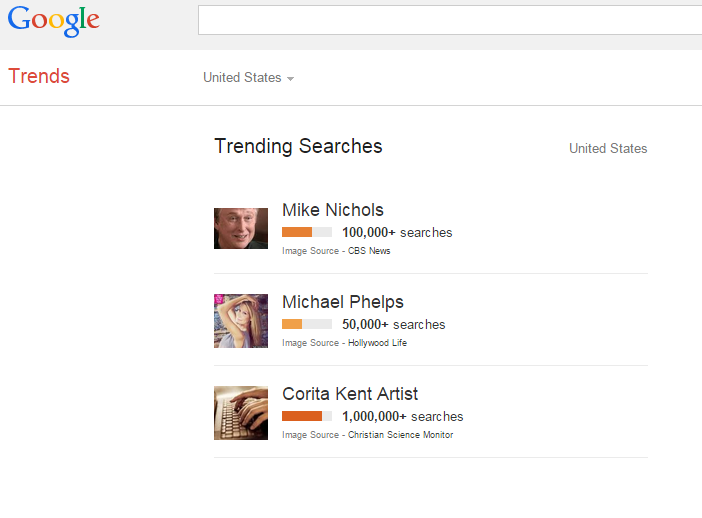 When people are searching for information relating to the hot topics of the day, you want them to find you. It’s a signal to your audience that you’re always on the case, and a ready source of information. But newsjacking shouldn’t be done just for the sake of newsjacking. Just as it can be an authority builder, it can be detrimental to your brand when done callously. With this article, I hope to explain why newsjacking is effective for your traffic, authority, and why it should be done tastefully. If you ever go to a sales seminar, you’re likely to hear the word “immediacy” quite a bit, or at least a synonym for it. The creation of urgency is one of the most tried-and-true marketing/sales tactics known to man. Newsjacking relates strongly to the sense of urgency. Note: ordinarily I wouldn’t recommend following the advice of duplicitous Wall Street brokers and dealers of Schedule I narcotics. When you newsjack, you’re tapping into an audience that is hungry for information and/or commentary you’re providing. When done appropriately, newsjacking can result in a tidal surge of traffic, rather than the steady drip that rehashed evergreen content can produce. Evergreen content may always be searchable, but is it always clickable? Evergreen content can be read later, and isn’t always relevant to the discussion. 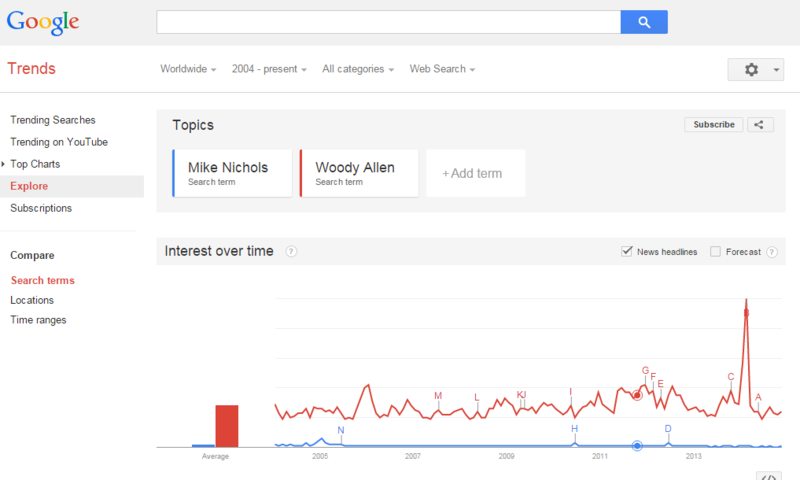 People want information on what’s relevant NOW. All but two of these results are directly related to his tragic passing. Google has set its algorithm to respond to supply-and-demand. People are always searching for the big topics of the day: if you’re creative enough, it’s a way to capture their attention. Before you start snooping your Twitter feed and subscribing to every publication under the digital sun, be advised that brand association is very important when it comes to newsjacking. 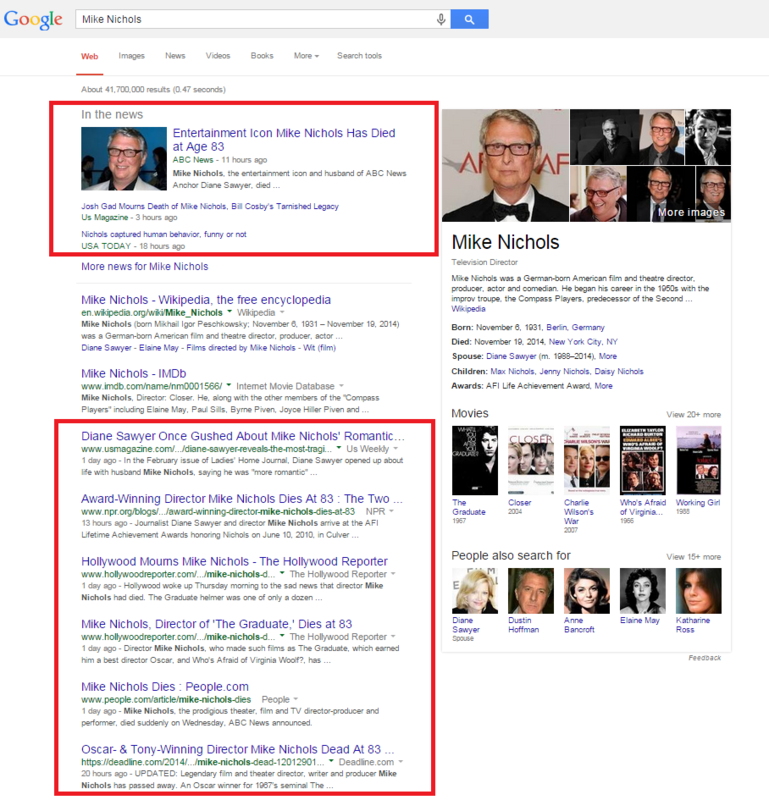 It makes sense for The Hollywood Reporter to write about the death of Mr. Nichols: it would be odd if they didn’t. But wouldn’t you think it peculiar if, say, Honda wrote an article about what Mike Nichols taught us about car safety? That may sound like a stretch: what brand would attempt to assert themselves so shamelessly into the conversation? Unfortunately, it happens all too often. Let me tell you a story. Mike Nichols started out as a stand-up comedian. His comedic sensibilities carried over into most of his work, which is why I enjoyed a lot of it. I too am a stand-up comic, and got my greatest influences as a comic from another comedian that also died recently: Robin Williams. I was immensely sad the day Williams died, just like the rest of the world was. Williams inspired me to pursue stand-up. 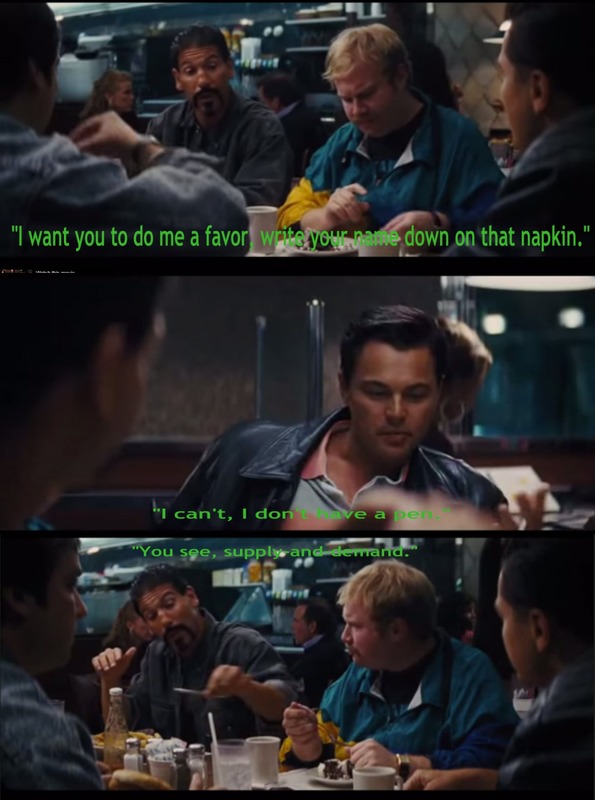 He was the kind of guy I watched and said to myself, “That. I want to do that”. That = make people laugh. A lot of comedians would say the exact same thing. Because he DEFINITELY made people laugh. He made us laugh really, really hard. He frequently found time for charity, particularly with Shriner’s Hospital. He even creeped the hell-out-of-us from time-to-time. But what didn’t he do for us? He never taught us tips while we’re jobseeking. This article was originally published on LinkedIn, but can no longer be found there. I don’t know if LinkedIn simply erases content after a certain amount of time has gone by, or if this was taken down because it was the subject of a lot of ire. The thing is, this isn’t contributing to the conversation. This isn’t honoring. This is interrupting. 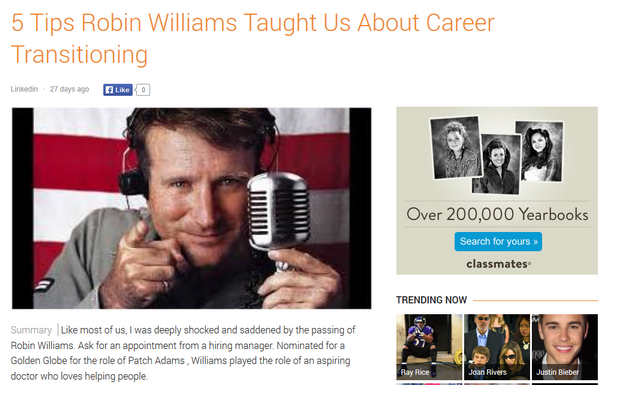 No one naturally makes the connection of Robin Williams and career transitioning. Not unless they are seeking a job pretending to be an old Scottish nanny. If that isn’t bad enough for you, try this one on for size. This was on Search Engine Journal, a publication I ordinarily respect. Nelson Mandela is one of the most important political figures of the 20th century. He is a symbol of combating oppression. I’m not ashamed of what I do for a living: far from it really. But to reduce Mandela’s life achievements to lessons on how to increase online conversions is ignoble (to put it politely). Nelson Mandela served 27 years in prison. I don’t know what the conditions were like at Pollsmoor Prison in the 80s, but I’m assuming Mandela’s Internet access was limited. This man was the figurehead of the ANC, not CTR. 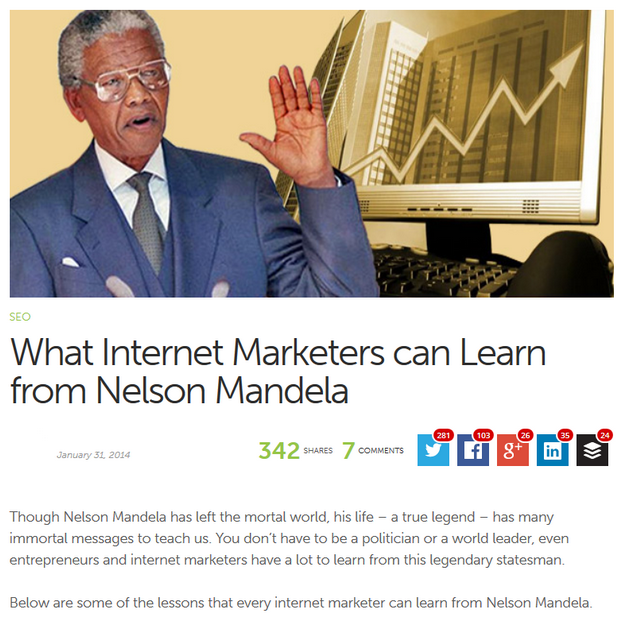 I’m not even saying there is absolutely nothing that we in the Internet marketing sphere can learn from Mr. Mandela, but to actually write up a list in the aftermath of his death just to grab those high-volume keywords, completely cheapens everything he accomplished (you know, like helping to end South African apartheid). Do you really want to be associated as the brand that took callous action just in order to draw traffic to your website? I sure hope not. I really don’t want to be the person that writes, “5 Things Celebrity’s Death Taught Us About Lack of Marketer’s Moral Compass”. I’m not saying you can’t contribute to the conversation when tragedy strikes. But that’s just it: contribute. Add value to the conversation that everyone is looking to be a part of. Don’t force your brand message where it doesn’t belong. This was a guest blog courtesy of Lauren Covello of Ripen eCommerce. As far as I’m aware, they had no affiliation with the ice bucket challenge that took the world by storm last summer, other than maybe some employees took the challenge. That said, this article makes sense. Covello relates the philanthropic phenomenon to her own personal experience with her grandfather, and has picked a natural avenue to expand on. 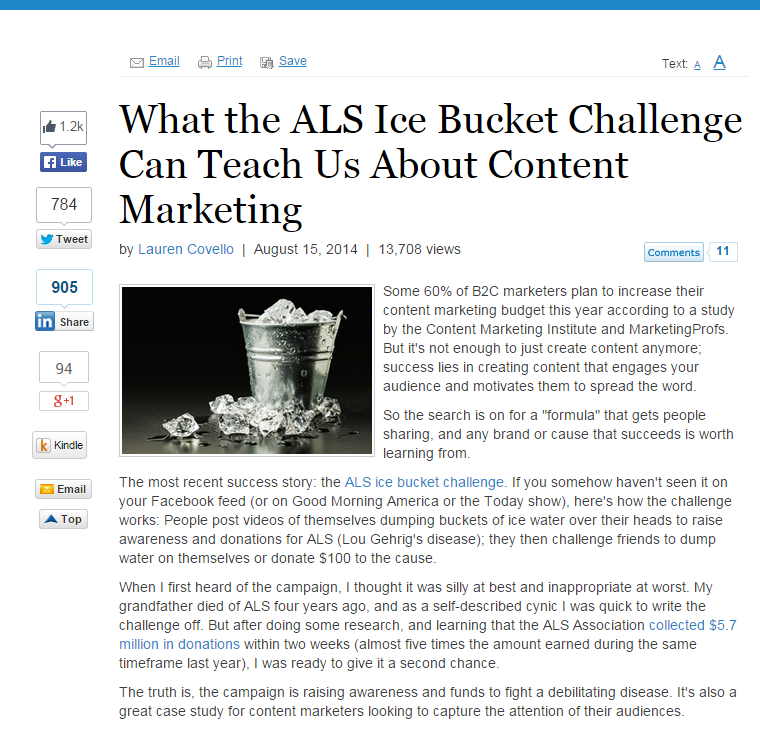 After all, the ice bucket challenge was itself a form of marketing: Covello is simply explaining how we, as content marketers, can apply its victories to our sphere. Not only is Covello joining the biggest conversation in the globe, she’s teaching us something in the process. THAT’S successful newsjacking/brand building. Perhaps newsjacking is an impolite term. It sounds too much like stealing and/or ruining. Newsjacking might be a more appropriate term for what AOL has done to the aforementioned Huffington Post, which is now just US Weekly meets Upworthy. Then again, news has never been the prettiest business. Even when I was still considering a career in journalism, I was always turned off by the industry mantra, “If it bleeds, it leads”. It’s emblematic of our current news industrial complex, which is a 24 hour cycle of incessant fear delivery. The value of news delivery is decreasing: it’s a series of talking heads shouting at each other about who’s to blame. You don’t have to be one of those talking heads. Add value to the conversation. There are people looking for more information about the biggest news all the time, and they are doing it online at increasing levels. Be there when they are looking: be THE authority they’re looking for. Ah, Jesse, you have me blushing. Thanks for the plug. I agree, “If it bleeds, it leads,” has always left me with a bad taste in my mouth. Ripen goes out of its way to only comment on news when we have something to contribute, even though it’s tempting to jump on the bandwagon, so to speak. I’m especially proud of the Ice Bucket piece because my team and I turned it around so quickly and it had a personal touch. Thanks for sharing. Was happy to highlight your article Lauren! It is the perfect example of newsjacking: timely, tasteful and… informative. Dang, I really wanted a third “t” word there. Good article, Maybe a better term would be “news surfing”. Newsjacking does seem evil. Yeah I can’t believe I used to use the Huffington Post as a primary news source. It’s straight-up terrible now imho. Newsjacking the term seems awful as it seems like hijacking something which is like black hat SEO. As Mike has named it news surfing which seems fine and sounds good.